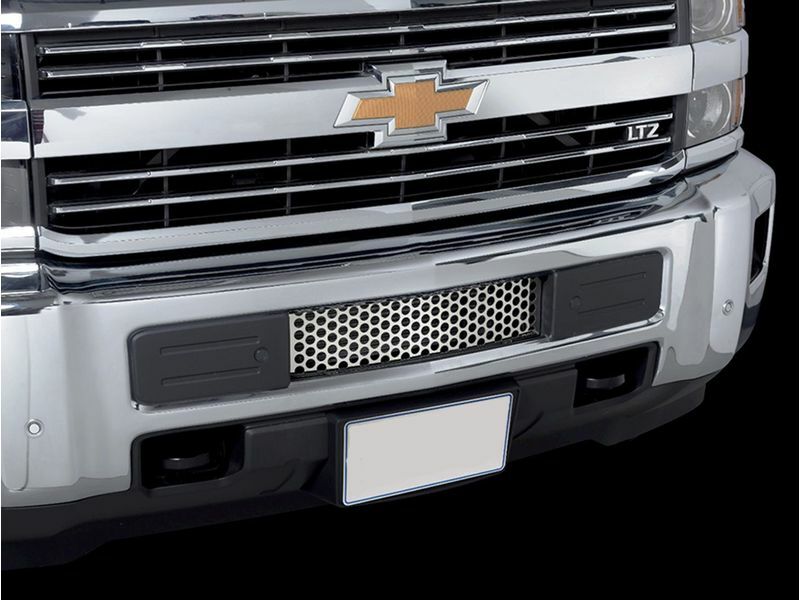 Dress up your truck with a Putco Punch bumper grille. These bumper grilles feature a sweet punch pattern and easily attached to the center opening on your bumper. Change that boring OEM front end at an affordable price Made of stainless steel to give you strength and durability. Available in a black or polished finishes to meet your style. Punch bumper grilles looks awesome and upgrade the look of the front of your pickup whether you have an aftermarket truck grille or your factory grille. For the complete look, get the Putco Punch billet grille. Your bumper grille can be easily installed at home so you can get back out there. Get your Putco Punch bumper grille today! Putco bumper grilles easily install. Each kit comes with a installation guide for a smooth install on your ride.